Just wanted to show a picture of the Jack that stole our hearts. Your pictures are all so beautiful and being a first time owner is an experience like no other! Just love your little girl!!! I'm sure she will bring you great joy and love to your life! 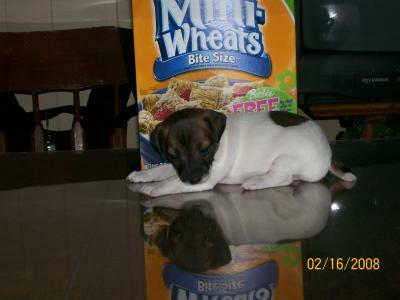 "Bite size" "Mini-Wheats" is the perfect cereal to show off your mini puppy. ShyAnne is adorable! That is the most precious little thing I have ever seen. You have a little star.